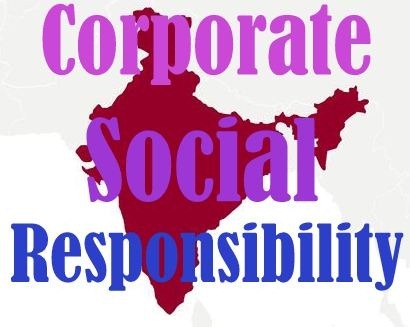 The Indian government this month cleared the way to introduce far-ranging legislation in the upcoming parliament that would demand, among other things, that companies dedicate 2% of their annual profits to supporting corporate social responsibility (CSR) initiatives. 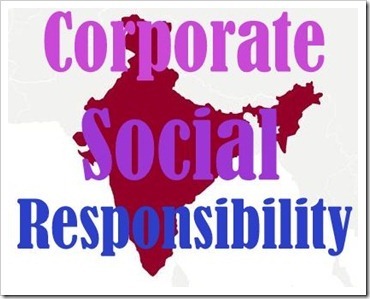 If the revised Companies Bill 2011 is passed, as many expect now following its endorsement by the Indian cabinet, India would become the first country in the world to make corporate social responsibility mandatory, enforcing CRS action through fixed financial support. The Companies Bill has been underdevelopment for several years and would effectively replace the archaic Companies Act of 1956. The overall aim of the far-reaching legislation is to make Indian businesses more transparent, efficient responsible. While some parliamentary opposition to the bill exists, the recent Cabinet endorsement of the legislation adds significant momentum to its passage. Under the proposed legislation, companies with net worth of more than Rs. 500 crore, or an annual turnover of over Rs. 1,000 crore, will be required to earmark 2 percent of average net profits of three years towards CSR. This latest proposed is a marked shift from earlier versions, which only suggested a voluntary 2 percent commitment. While the legislation will transform CRS requirements, many of India’s leading corporations already have a long history of supporting CSR. Tata Group, for example, supports has a range of Indian CSR projects, most of which focus community improvement programs. Tata is a leading provider of maternal and child health services, family planning and also has provided 98 percent immunization in Jamshedpur. In addition, the company endorses sports as a way of life, establishing football and archery academies and promoting sports among employees. Beyond this, Tata also has an organized a standing relief program in case of natural disasters, including long-term treatment and rebuilding efforts. It did laudable work during the Gujarat earthquakes and Orissa floods. Aptech, a leading education player, has long supported nurturing education throughout the country, while also participating in community activities. It has, in association with leading NGOs, provided computers at schools, education to the deprived, and training and awareness-camps. Infosys is aggressively involved in a variety of community growth programs. In 1996, the company created the Infosys Foundation to which it contributes up to 1 percent of profits after tax every year. The Education and Research Department at Infosys also works with employee volunteers on community development projects. Mahindra & Mahindra more than 50 years ago established the K. C. Mahindra Education Trust to promote education. The Trust seeks to transform the lives of people in India through education and financial assistance across age groups and across income strata. It as provided more than Rs. 7.5 crore in the form of grants, scholarships and loans. The Trust’s Nanhi Kali (children) project has over 3,300 children enrolled and aims to increase the number to 10,000 in the next two years by reaching out to the underprivileged children, especially in rural areas. Certainly, CSR activities are widely seen throughout many multinational corporations, particularly in the US, Europe and Asia. The passage of the Companies Bill may not, in itself, shift the actual balance of Indian activities in the near-term. Passage, however, will stamp India as a leader in the field going forward, demonstrating the country’s growing commitment to have its businesses support and aid their local and national communities. This should not deter investment in India, as stronger local communities will only support economic growth. Corporations investing in India, however, need to be aware of these possible requirements and plan accordingly going forward. A concern for social and environmental development should be made a part of every corporate entity through its inclusion in the annual agenda backed by strong and genuine programs. `It’s up to the lobbying groups and governmental agencies to convince the corporate power houses to come forward and take up the challenge by making them aware of the associated advantages that these companies stand to gain from effective CSR campaigns. "CSR may soon be Mandatory for Indian Companies, First in the World to do so…", 5 out of 5 based on 1 ratings.